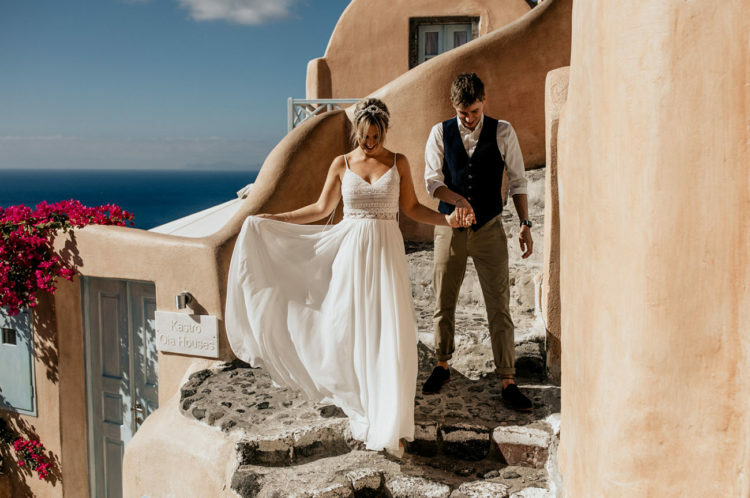 Melissa and Edwin wanted a gorgeous wedding in Santorini, Greece, and it should have been planned within two months, before the baby arrived. 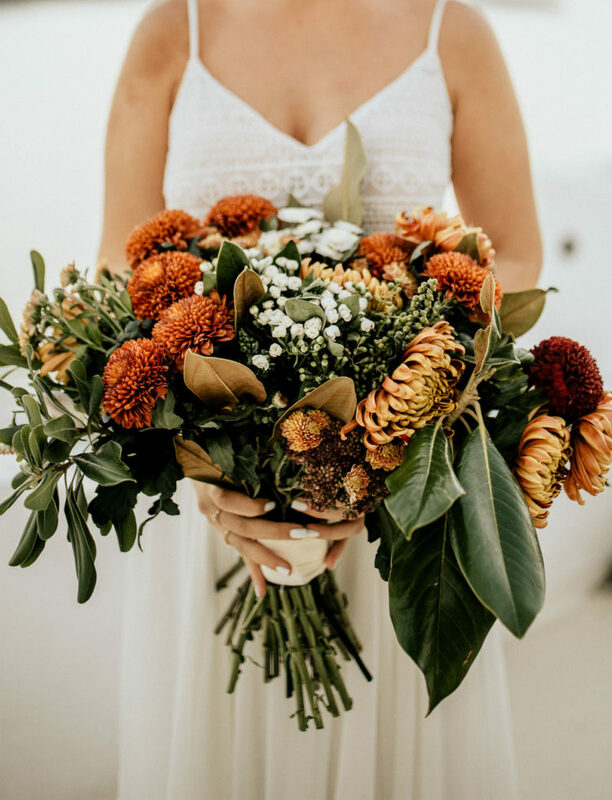 Let’s take a look at this amazing wedding! 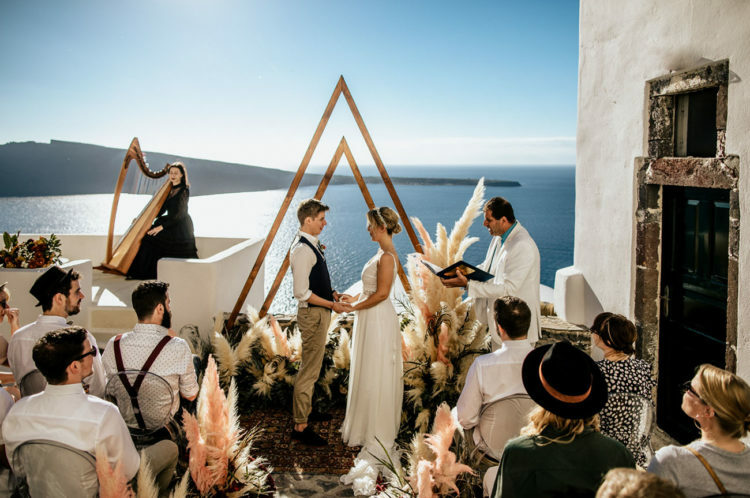 Let this gorgeous wedding in Santorini serve as proof that it doesn’t take years of planning and in fact, something seriously dreamy can be put together in just a couple of months with the right team. 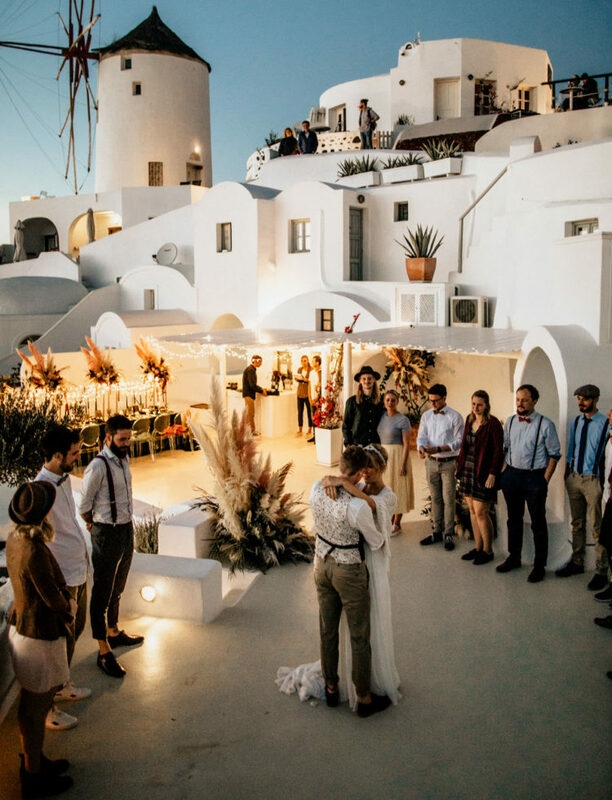 M+E wanted to combine the clean and white look of Santorini with a bohemian style. 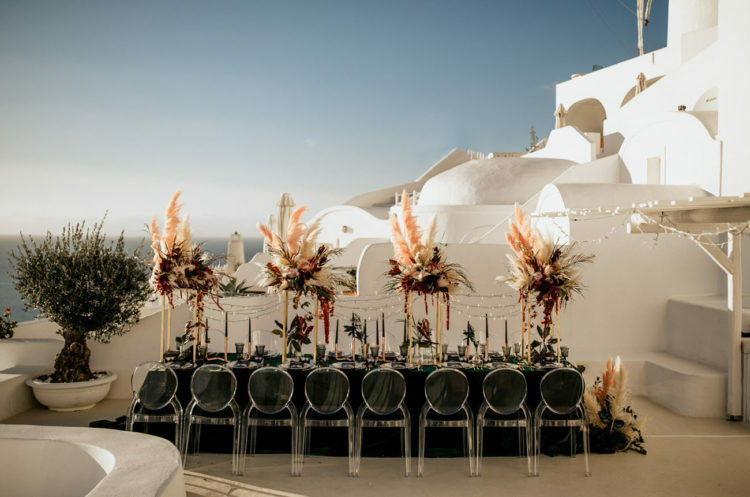 They wanted lots and lots of pampas grass, acrylic ghost chairs, a harp player, a view of the ocean, and all their loved ones, and they got it all! 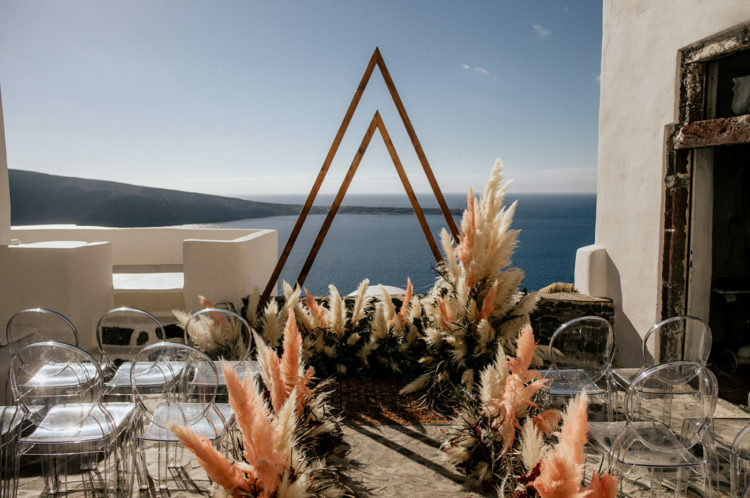 The tablescape is modern and edgy, yet totally bohemian and relaxed! 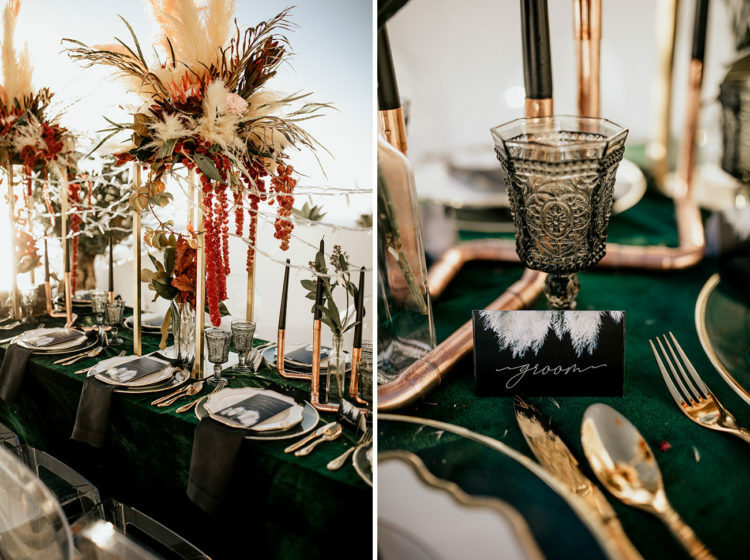 The tablecloth was a green velvet one, black candles were placed into gold candle holders, and lush and bold blooms and pampas grass finished off the look. The wedding cake was a delicious masterpiece of culinary art! 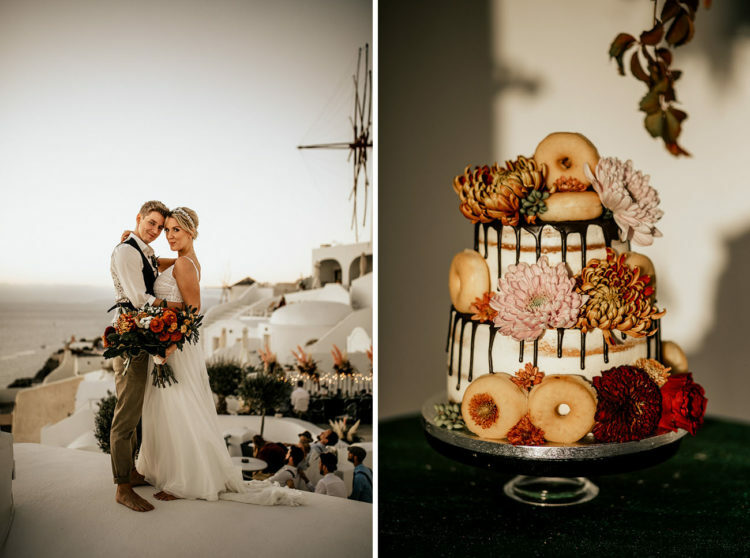 It was a naked wedding cake with chocolate drip and it was decorated with bold fresh blooms and donuts – so fun! 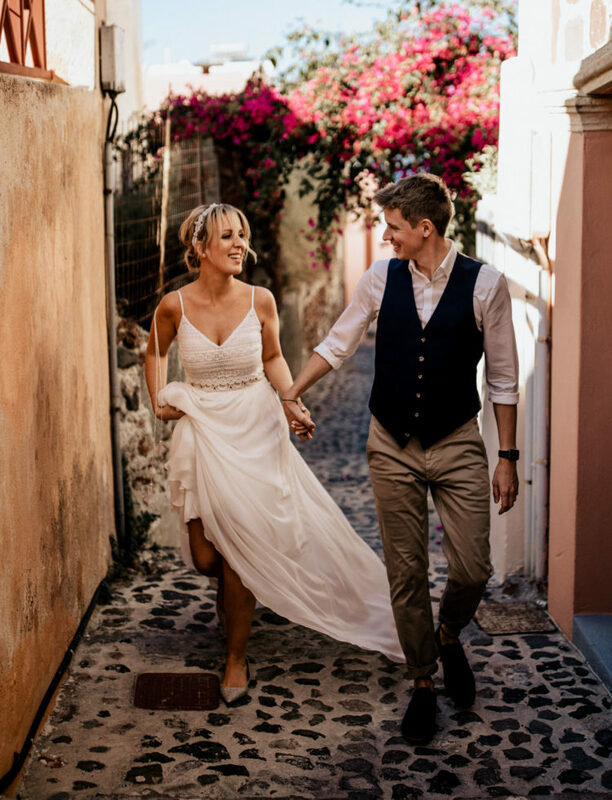 The bride was wearing a boho spaghetti strap wedding dress with a boho lace bodice and V-neckline and a flowy skirt plus silver glitter flats. She was rocking a low bun and a beautiful hairpiece. The groom was wearing a white shirt, a black waistcoat, olive green pants and shoes with no socks.